The fastest and easiest way to determine if an IDX Solution is right for you. Get the basics in place without all of the extra stuff. 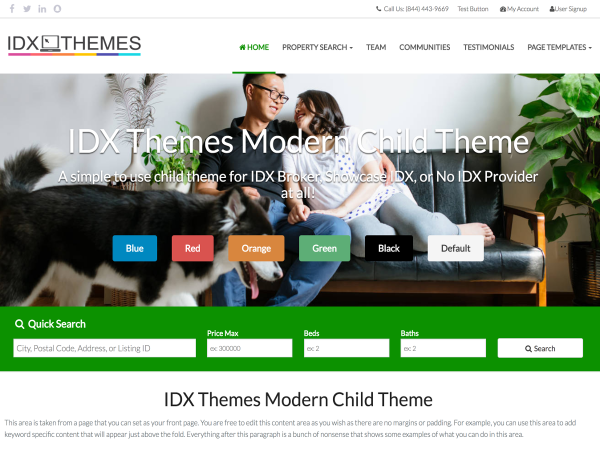 This is good for either just test driving what owning and IDX website is all about or for do-it-yourself types who just want to spare themselves the headache of the IDX integration. This product is for anyone looking for the easiest and most straightforward IDX website solution. No frills and extras, just the basics you need to get up and running 100% frustration free.